Most people spend more than 90% of their day indoors, this means the quality of air you are breathing is important. Our homes and workplaces are full of toxic compounds such as formaldehyde, exlene, toluene, benzene, trichloroethylene, bacteria, molds and more. Ranked among the top five environmental risks to public health are indoor air pollutants. The biggest cause of this is lack of air flow in our homes and work spaces, causing pollutants to build up in greater amounts then we should be breathing. This can cause a number of health risks, including increase chance of having a stroke, heart disease or lung cancer, sick building syndrome, increased respiratory infections in children, it can increase asthma attacks, as well as symptoms of fatigue, nausea, skin irritations, dry cough, eye, allergies, dizziness, and personality changes. These are only a small amount of issues, there are just too many to list. 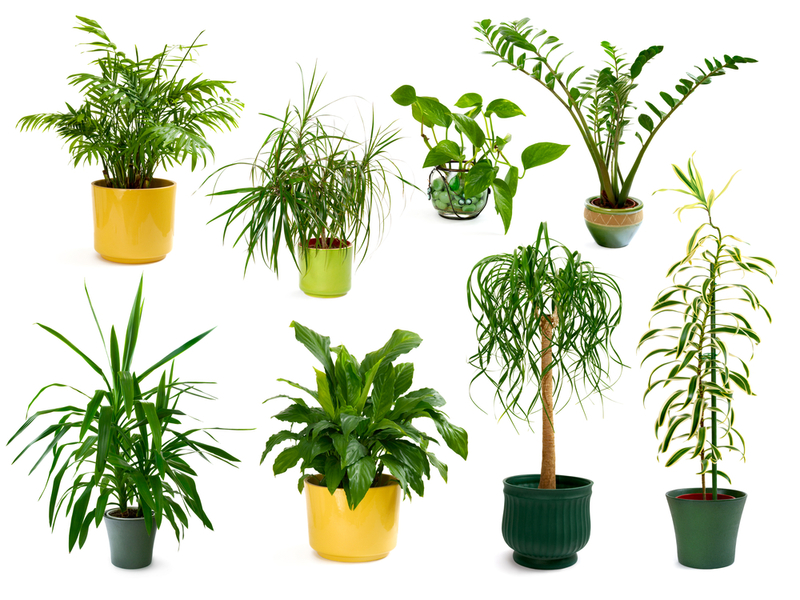 Research has shown one of the best ways to improve air quality in your home or workplace is plants. As plants absorb carbon dioxide they are also absorbing harmful toxins from the air, especially in spaces with little air flow. Not only do plants help with to make your air healthier they have been proven to make people overall happier by increasing mood and productivity, enhance concentration and memory, and reduce stress and fatigue. 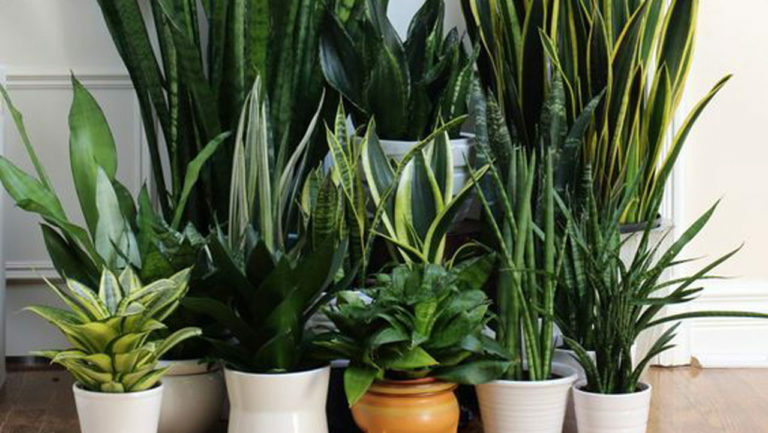 So here is a list of some options for air purifying plants to try in your home. Collection of eight different studio-isolated shots of gorgeous indoor plants. Before you purchase your indoor plant, do some research and read the tags. Make sure you have a suitable place in your home or workplace for it to grow properly, do you have enough sunlight or too much etc. Also some house plants are very toxic to pets, be sure you are purchasing plants that won’t harm you pets.